Palm oil companies are currently under scrutiny by Indonesia’s independent business watchdog for their lack of commitment to complying with the partnership regulation that requires them to allocate 20 percent of their plantation areas to plasma farmers. Both presidential tickets contesting the upcoming election, Joko “Jokowi” Widodo-Ma’ruf Amin and challenger Prabowo Subianto-Sandiaga Uno, have promised to improve the wellbeing of Indonesian Military (TNI) personnel in their campaigns. The two camps also promised to complete TNI reforms, includingpreventingreinstatement of the dwifungsi (dual function) military doctrine. Jokowi-Ma’ruf campaign team’s spokesperson Ace Hasan Saydzily, for instance, said frequent cases of military officers’ involvement in business were related to social welfare issues. Ace said Jokowi-Ma’ruf would raise the salary of military officers to tackle the issues. Similarly, Prabowo-Sandiaga campaign team member Andre Rosiade said the pair would boost the welfare of military personnel. He said as a former general himself, Prabowo knew what the TNI needed. The military has come under the public spotlight following President Jokowi’s military restructuring plan. The President plans to introduce 60 new military posts to decrease a reported surplus of “non-job” military officers. Jokowi further plans to revise the existing Military Law to pave the way for the employment of military officers in ministries and other government agencies. The role of the Elections Supervisory Body (Bawaslu) is in the spotlight once again after the Election Organization Ethics Council (DKPP) issued a warning to the agency for its handling of an accusation against vice presidential candidate Sandiaga Uno. “[We] have officially given a warning to Abhan as chairman and to Fritz Edward Siregar and Rahmad Bagja as members of Bawaslu,” the DKPP wrote in a decision dated Jan. 16. The warning was issued after the non-governmental organization United Indonesia Federation (Fiber) reported the Bawaslu to the council in September 2018 after the agency closed an inquiry into allegations that Sandiaga had paid off the National Awakening Party (PAN) and the Prosperous Justice Party (PKS) to accept him as Prabowo Subianto’s running mate. Bawaslu has said it accepted the DKPP’s sanction but did not immediately respond to requests for further comment. During an Imlek celebration at JIExpo in Kemayoran, Jakarta, this week, President Joko “Jokowi” Widodo encouraged the public to turn up for the upcoming general elections. “Golput (abstaining) is a choice, but the future of our country depends on the votes cast,” said the President. The issueofgolput has stolen the show recently. 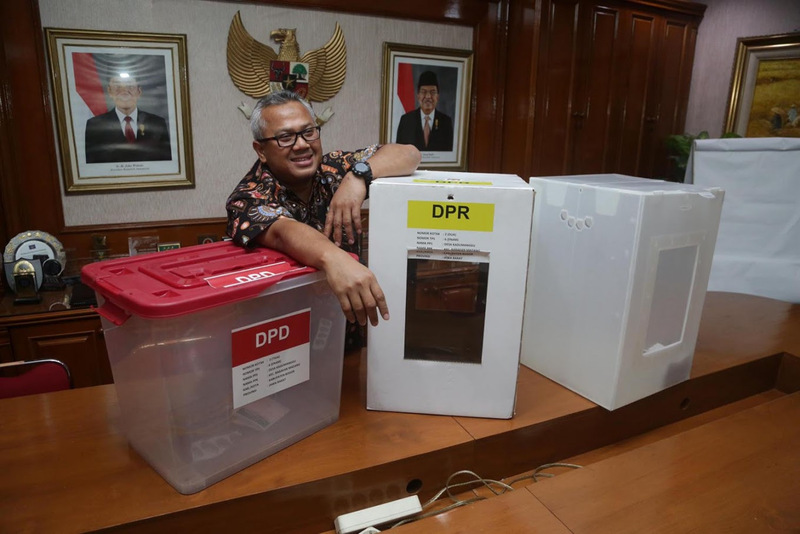 The Association for Elections and Democracy (Perludem) predicted that the number of poll abstainers in the 2019 elections would increase significantly, partly because the legislative and presidential elections will be held simultaneously. A massive and persistent campaign from candidates was needed to solve the problem of golput, said Perludem executive director Titi Anggraini. The number of former graft convicts contesting the upcoming legislative election has reportedly climbed by at least 15. 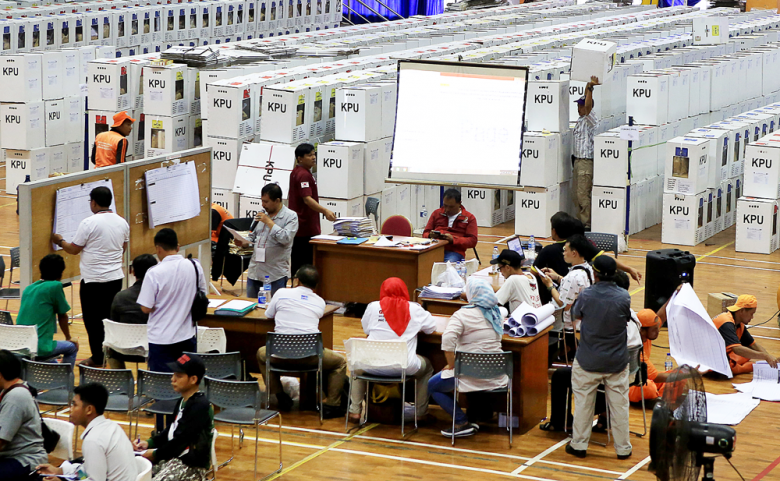 The General Elections Commission (KPU) said the increasefollowedexamination of personal data of candidates by KPU chapters in various regencies and cities. Previously, the KPU had identified and announced 49 former graft convicts who would run in the upcoming election and the parties that nominated them. The KPU will make public the newly found ex-graft convicts after finalizing a validation process. The police have proceeded to a fully fledged criminal investigation of the reported assault on two Corruption Eradication Commission (KPK) investigators who were assigned to tail several Papuan officials at a Jakarta hotel, the antigraft body says. “According to the information we have received from the Jakarta Police, they will use the results of medical examinations of our injured employees as evidence,” KPK spokesman Febri Diansyah said in Jakarta on Thursday. Jakarta Police investigators on Wednesday questioned at least five witnesses in the case. “The witnesses include three security guards, a security cameraoperatorand a hotel receptionist,” Jakarta Police spokesman Sr. Comr. Argo Yuwono said on Thursday, as quoted by kompas.com. He added that investigators had sent security camera footage depicting the alleged assault to the National Police’s forensics laboratory. State-owned energy holding company Pertamina is facing the daunting task of overcoming theft in its oil and gas operation areas as well as practices of illicit refining and marketing, which cost the company billions of rupiah. Data from the Energy and Mineral Resources Ministry show reports of illegal drilling and tapping in at least 10 oil and gas working areas, which are mainly under the management of Pertamina. President directorNicke Widyawati said her company had located eight illegal drilling sites at Pertamina EP’s (PEP) Pangkalan Susu Field in Langkat, North Sumatra, with at least 56 active illicit wells. While PEP did not have the exact data of potential losses caused by criminal acts, it revealed that its 260-kilometer Tempino-Plajupiepeline in Jambi and South Sumatra had suffered Rp 280 billion (US$20 million) in losses as a result of illegal tapping. In 2013, crude oil theft at Pertamina’s Asset 2 oil field in Prabumulih, South Sumatra, was estimated to cause losses of 1,000 to 1,500 barrels of oil per day, equal to Rp 1.5 billion per day. Observers have expressed concern about President Joko “Jokowi” Widodo’s plan to raise farm-gate prices for white sugar, saying it could hurt the national sugar industry. Indonesian Political Economy Association agriculture expert Khudori said the current problem of the sugar industry was not the farm-gate price of Rp 9,700 (US$0.70)/kg but the slow revitalization of sugar factories. 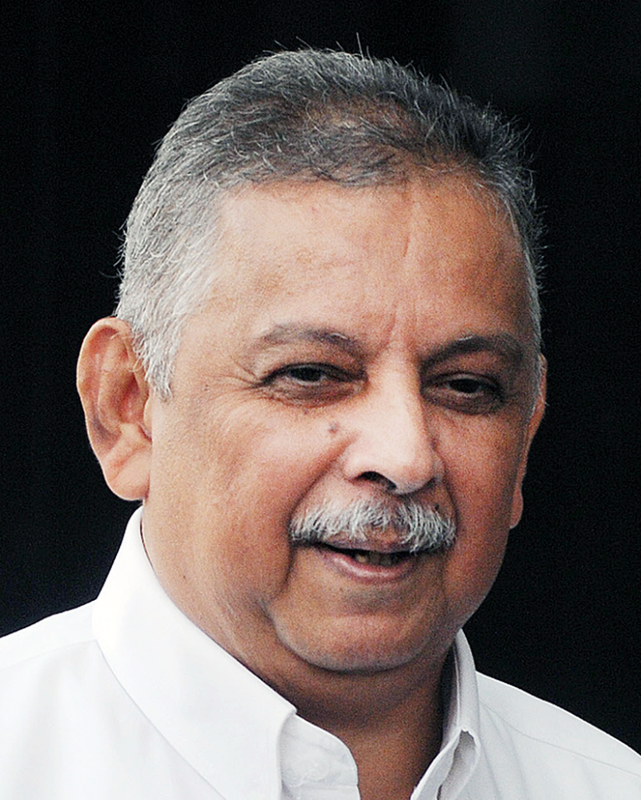 The government should help create a balance in the national sugar market by solving problems in the downstream industry, he argued. 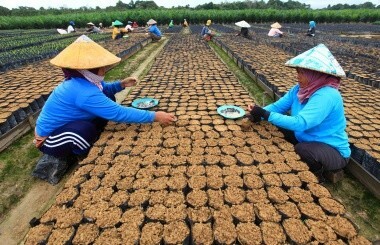 According to him, raising farm-gate prices to Rp 10,500/kg in line with farmers’ demand would hamper efforts by state logistics company Bulog to absorb the products from farmers. The State-Owned Enterprises (SOEs) Ministry plans to launch the integration of server and chip-based electronic money services offered by state-owned companies on Feb. 21 in a bid to improve efficiency and convenience. One electronic platform, calledLinkAja, will integrate Telkomsel’s T-Cash, Bank Mandiri’s E-Cash, Bank BNI’s Yap! And Bank BRI’s T Bank via server connectedness.LinkAja will be managed by PT Fintek Karya Nusantara (Finarya). Based on a hearing session with the House of Representatives last month, Bank Mandiri president director Kartika Wiroatmodjo said Finarya had been established by the Association of State-Owned Banks (Himbara) to manage the integration. After a decline in early 2019, economists believe Indonesia’s foreign exchange reserves will increase in the rest of the year, thanks to improvements in the country’s economic fundamentals. Bank Mandiri economist Andry Asmoro, for example, estimates that RI’s foreign exchange reserves will increase to $125 billion at the end of this year from $120.7 billion last year. Andry is confident that the dovish stance taken by the United States Federal Reserve in its last Federal Open Market Committee (FOMC) meeting and easing economic tension between China and the US will help boost Indonesia’s exports and foreign fund inflows. Similarly, Bank Central Asia economist David E. Sumual said he believed the foreign exchange reserves could rise to between $130 billion and $150 billion. David saw increasing capital inflow as the main driver of the expected increase in forex reserves. Oil price volatility, he said, would continue to be a bearish factor in the near future. Players in the logistics business have strongly criticized the sharp increase in air cargo fares, calling the hike “irrational” given that the basic cost of air cargo had risen by 300 percent since mid-2018. Express Couriers Association of Indonesia (Asperindo) chairman Mohammad Feriadi said the extreme price increase would kill business activity. He added that such a price increase only occurred in Indonesia. For example, in Malaysia,Thailandand Singapore, air cargo price increases never exceeded 100 percent per year, he said. Asperindo then urged the government to review the ongoing situation or underlying policies, similarly to when airfares suddenly surged from November 2018 to January 2019. Please login to read more.